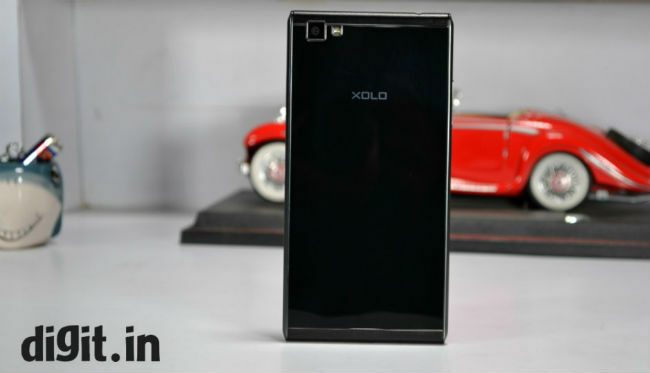 The Xolo Balck 1X is a sleek device. It’s the smartphone that Batman would have, if he were on a budget of 10K. But looks aren’t the only reason for which we buy a smartphone. With great performing devices like the Meizu M2 Note and the Lenovo K3 Note gunning for the top position in the budget category, it's hard to term the Xolo Black 1X the show stopper of this price range. 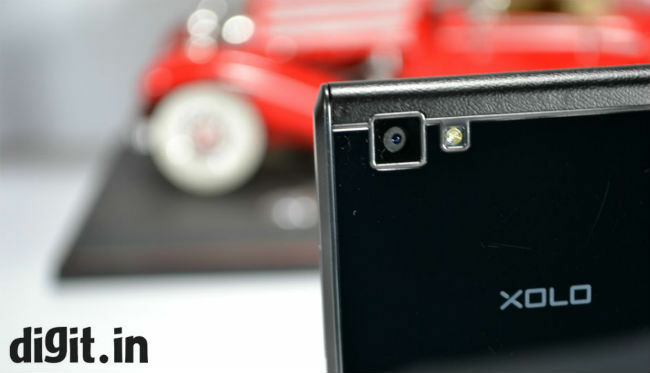 If looks are very important to you, then you can consider the Xolo Black 1X. The 3GB of RAM makes it a good multitasker, and the 32GB built-in storage is very welcome. But the average camera and inconsistent UI is a big downside of the device. Once upon a time, a long time ago, when I started reviewing budget smartphones, it was very difficult to recommend a sub-10k phone. Time has passed, technology has improved, and today I have seen a bunch of devices priced under Rs. 10,000 that not are not only recommendable, but offer some impressive specifications under the hood. Today, we have with us one such phone – the Xolo Black 1X. The smartphone has some impressive specifications under the hood, along with sleek design. Is the smartphone worth the asking price? The first thing that you will notice is that the smartphone is really slim, measuring 7.6mm in thickness. The phone is light too, weighing just 125 grams. The Black 1X is made entirely of plastic, and has the standard candybar form factor with one key difference. The top and the bottom has curves that continue to the rear panel, giving it a somewhat unique design. The material used here is plastic, but gives you the feeling that it is leather, but unfortunately, it's only faux leather. The top houses the 3.5mm audio jack, and the bottom, the microUSB port. The bottom also has two speaker grilles, but only one of them acts as a speaker. Looking at the back, its simple, black glossy plastic makes it a fingerprint magnet. The rear also houses a main camera, accompanied with an LED flash. 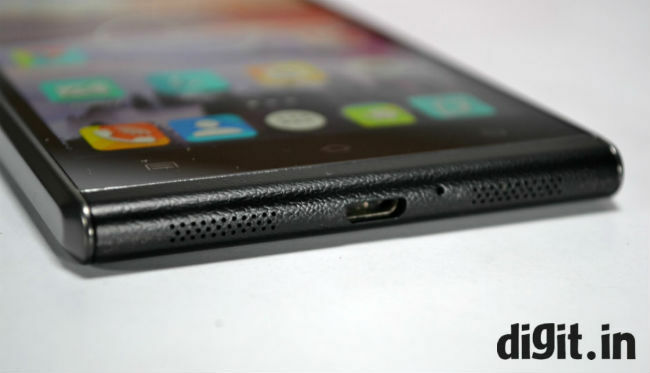 Coming to the sides of the Xolo Black 1X, the smartphone has SIM and microSD slot on the right, and the left has the volume rocker and power button. Both of these buttons feel dented, as if they are part of the side panel itself. They aren’t contoured enough for you to use them, without hunting for them. Along with the fingerprint-savvy glossy back, the design of these buttons is also a major flaw. Sticking with the button placement on the Xolo Back 1X, we have the capacitive menu, home and back buttons below the display. Overall, the smartphone is slim and good looking, provided you carry a soft cloth with you to clean it often. The 5-inch display of the smartphone has a resolution of 1920x1080 pixels. Viewing angles on the display are good, and the colour reproduction is good too, considering the price point of the Black 1X. The only flaw of the display is that, when auto brightness is switched on, it always remains on the lower side, and I had to manually increase the brightness myself. Moving on to the UI, this is where the phone gets a little annoying. To begin with, there is a skin overlaying the OS. We have seen a lot of skins overlaying Android, and some of them are decent at the very least. 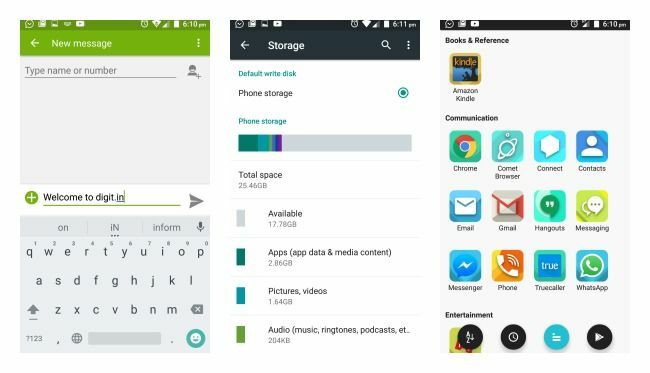 The Xolo Black 1X has a UI which has childish icons, and you will almost immediately download a theme pack to get rid of it. Coming to the apps listing page, you have the option to list the apps alphabetically, recently installed, or category-wise. This is effectively a nice touch. What isn’t, however, is the fact that the apps listing page scrolls as you move the device. Initially, I thought of this as a bug, but after continuous use, I realized that it’s somehow linked to the gyroscope sensor of the phone. The feature might appeal to some, but for me, it’s as gimmicky as the ability to drop down the notifications panel using the fingerprint reader on the Honor 7. Overall, the smartphone has a good display for the price you pay, but where it lacks is with the UI and the bunch of preloaded apps, that you will almost instantly want to delete. Lets kick things off with the specifications of the smartphone. The Xolo Black 1X, as we mentioned above, has a 5-inch Full HD on-cell IPS display, with 441ppi display resolution. 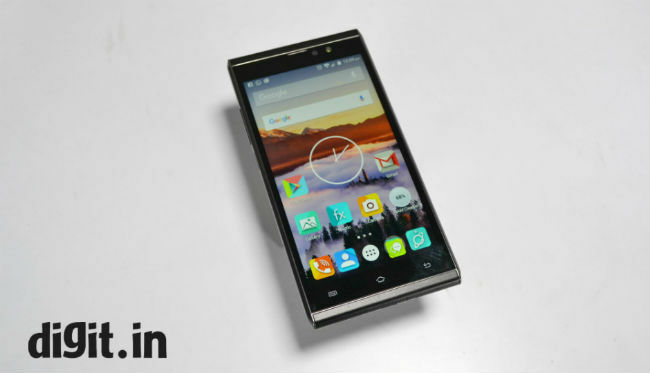 The device is powered by a MediaTek MTK6753 octa-core processor clocked at 1.3GHz, along with 3GB of RAM. It also comes with 32GB of internal storage that can be expanded up to 128GB, via microSD cards. The Xolo Black 1X comes with 32GB of built-in storage, and that is great! We have seen flagships and flagship killers come with 16GB built-in storage, which is thoroughly disappointing. The 3GB of RAM makes the device quite fluid with multitasking. I had a bunch of apps open at the same time, and the Black 1X had the ability to hold its own. 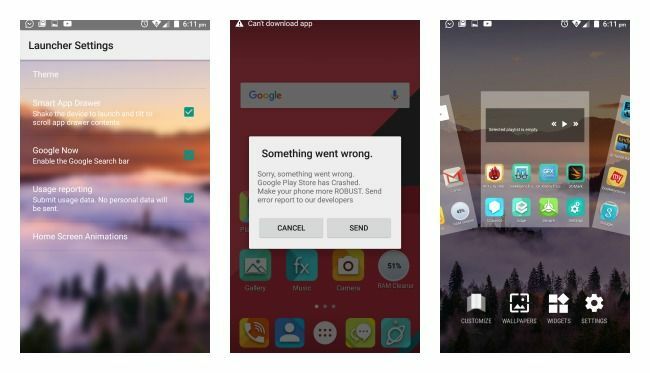 Yes, there are times when the apps stuttered, randomly crashed and took time to load, once opened from the multitasking menu. Apart from a few instances where this was a problem, it worked well. Here is a look at the benchmark performance, to see how the Xolo Black 1X performed when compared to the likes of the Meizu M2 Note and the Lenovo K3 Note. As you can see from the scores, the Lenovo K3 note takes the cake with raw benchmark performance. Moving on to real world performance, I faced a unique issue with the Black 1X that I haven’t faced in a while now – a problem connecting the phone to my Mac. Despite having Android File Transfer installed, the phone just wouldn’t get recognized on my Mac. Plug it into a Windows machine, and it worked perfectly fine. I tried it with other Android phones, too, and all of the others worked. Playing games, watching YouTube videos and watching movies is a treat, because the display is quite good. It does lose some of its shine under direct sunlight, though. The audio, however, is not the best. There is just one speaker at the bottom, and at full volume, it isn’t loud. I recommend you use a pair of earphones, which Xolo does not provide. Another problem is the clarity of voice in the earpiece. While talking to people feels like they are using their phone at a distance. At first, I thought I was going deaf, or the volume of the phone was too low, or my dad – who was subject to this test – put me on loudspeaker. But, after talking to a few more people, it was evident that the earpiece isn’t the best. Moving on to gaming, it ran all the games I threw at it quite well, be it GTA Vice City, NFS or even Asphalt 8. Gaming was smooth, with the only hindrance being the placement of the speaker. My hand kept covering it, muffling the audio. The battery life of the smartphone lasted for about 6.5 hours in our continuous video playback test, which is just about average. Coming to real world usage, there is little to complain about. The smartphone has a 2400mAh battery, which will get you through the day if you are an average user. Some tweets, Facebook surfing, YouTube video streaming, calling, messaging and a little bit of gaming, and the Black 1X required charging at the very end of the day. Coming to the cameras, the rear snapper’s performance was in tandem with expectations. The images are good enough for social media, but when you transfer them to a PC and see them in full resolution, you will notice the lack of detail. The low light performance of the device isn’t the best, as it results in noise and although both the front and the rear cameras have a flash, I wouldn’t recommend using them. It makes the images quite unnatural. The front facing camera is very mediocre. Nexus or Xolo Play ?